In this workshop for children, we will learn how to create electric circuits. We will use sewing thread to make the circuits. 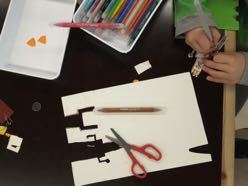 We will sew different elements, including our body and create circuits with lights that light up when we hold our hands. With this technique could be made jewelry, dresses or dolls with lights.